Ethical Hacking Course Provide the opportunity to student & IT Professional who is interested to make career in Cyber Security. In This Class Student and Professional Learn About Viruses, Worms, Sniffers Social Engineering, Denial of Service, Session Hacking, Hacking Webservers, Hacking Web Applications, SQL Injection, Hacking Wireless Networks, Evading IDS, Firewalls and Honeypots, Buffer Overflow, Cryptography etc. 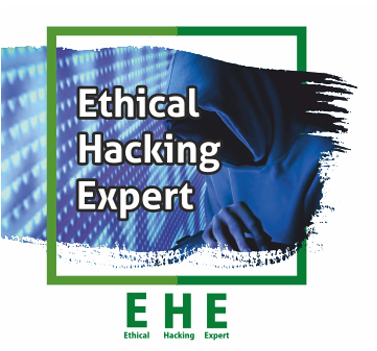 An ethical hacker is a security professional who applies their hacking skills for defensive purposes on behalf of the owners of information systems. By using Various Hacking Technics and tool Ethical Hacker find the weaknesses and vulnerabilities of computer and information systems by duplicating the intent and actions of malicious hackers. Ethical hacker looks what information/locations/systems can an attacker gain access. What can an attacker see on the target. What can an attacker do with available information. Students will develop an excellent Of current cybersecurity issues and ways that user, Administrator, and programmer errors can lead to exploitable insecurities. 3. Gathering Information about target computer systems – Foot printing and Investigation. 4. Scanning computers in the Networks. 5. Vulnerabilities associated with systems. 6. Exploring Malware Threats and their Counter measures. 7. Enumeration- Listing the systems/users and connecting them. 8. Gaining Access to Systems – Hacking. 9. Monitoring and Capturing Data Packets using Sniffing. 10. Restricting the System Access – Denial of Service (DoS Attack). 11. Tricking People to Gather Confidential Information – Social Engineering. 12. Web Servers and Threats Associated with it. 13. Web Applications and Threats Associated with it. 14. Controlling User Session with Authenticated TCP Connection – Session Hijacking. 15. Injecting code in data driven applications: SQL Injection. 16. Hacking Mobile Platforms and Threats Associated with it. 17. Encrypting and Decrypting the code – Cryptography and Its types. 18. Evading IDS, Firewalls and Honeypots. 19. Wireless Networks and Threats Associated with it. 20. Cloud Computing, Virtualization and Threats associated with it. 23. Economics and Laws – Passwords and Encryption. 24. Performing Hacking – LABS. Who is interested to making their carrier in Ethical Hacking / Cyber Security and passionate except every challenge of IT industry / technologies , Security officer, Security Professionals, Site Administrator, Integrity of network infrastructure .